I struggle to come up with side dishes when the temps rise. The guys could eat corn every day, but I'm always looking for something different to try. I found this recipe on the Taste of Home website, among some other great "make ahead" salad recipes. No major changes to this one- I had prepped veggies for another dish, so whatever form they were in, that's how I used them- my red onion was diced, my carrots were matchstick, etc. The title says it all on this one- crisp, spicy. I'll also add light and refreshing. It was a great side to burgers, a perfect summer lunch topped with some grilled chicken. Thank you Alivia D. for sharing her recipe! 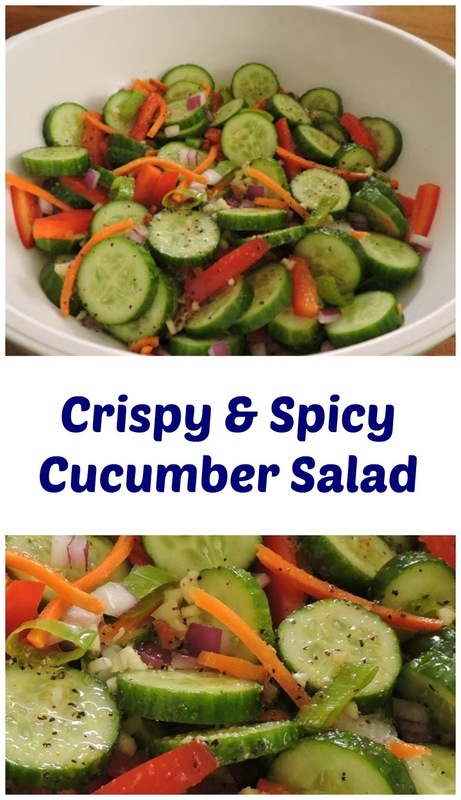 Great side dish for those hot summer days! In a large bowl, combine the first six ingredients. In a small bowl, mix marinade ingredients, stirring to dissolve sugar. Pour over vegetables; toss to combine. Refrigerate, covered, 30 minutes or overnight. Serve with a slotted spoon. Top as desired. Picking a side dish is always the hardest part of planning a meal for me. This looks like a great summer side! This looks like a perfect summer side dish. Cucumbers are my favorite! This salad is perfect for a pot luck! I especially love the little minis that you don't have to peel! 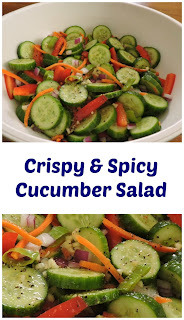 Very refreshing side dish! Health Eats for sure! Zucchini Banana Bread- Taste of Home Tuesday!